The single most exciting item on the menu at Empellon Cocina (the relatively new upscale Mexican restaurant in NYC by chef Alex Stupak) on a 90 degree day for me was the cool, refreshing Michelada (My Cold Beer). ” Do I try it with lime juice or chiles” was the debate in my head. If Michelada is Cold Beer, then, what’s so unique about a Michelada? How do they compare with the Micheladas in Mexico? See pictures and read on below. These Micheladas were excellent; the perfect drink to quench thirst on a hot day and the perfect drink to accompany the mouth-watering Mexican food at Empellon Cocina. The Micheladas in Mexico came with more salt on the rim and with more lime juice / chiles. 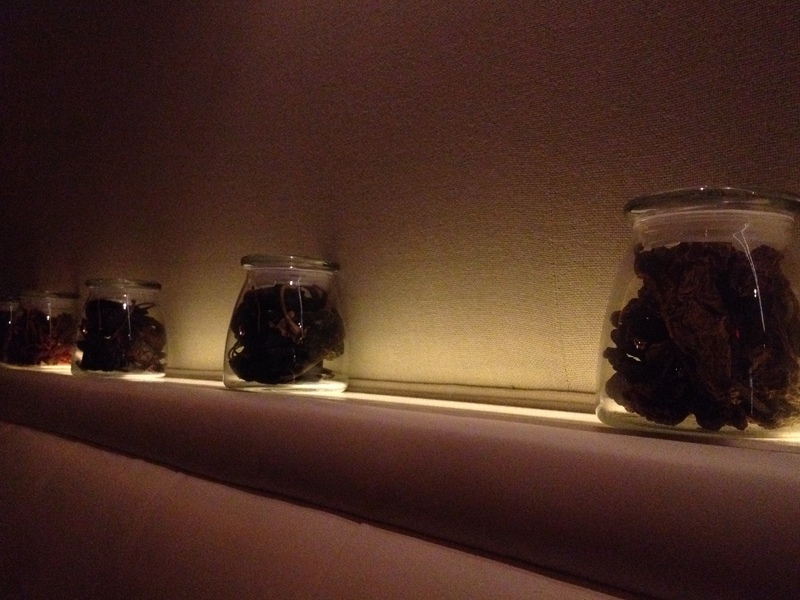 Otherwise, the ones at Empellon Cocina were spot on and well worth the trial. How vegetarian friendly is the menu and how were the vegetarian items in terms of taste , flavor, and texture? Definitely not disappointing as you will find out in Part 2 of this post (to be continued). 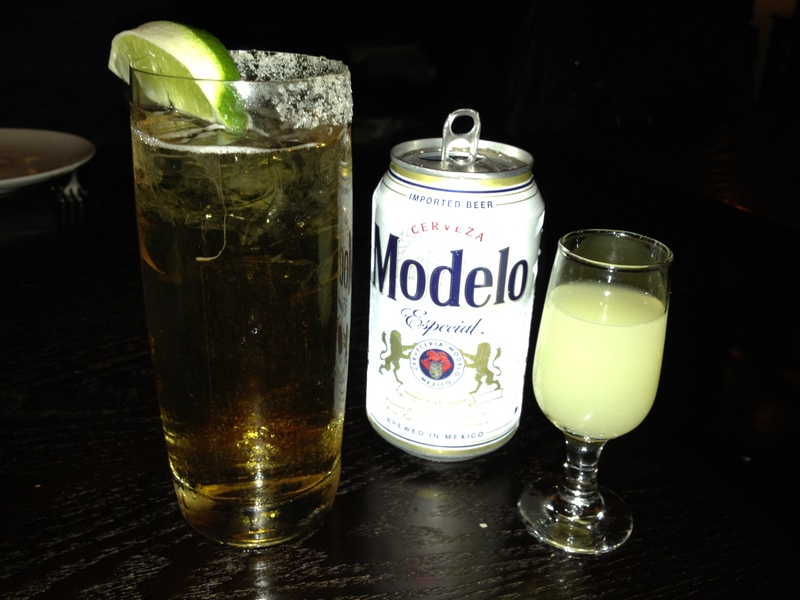 Meanwhile, I have a question for you: Do you know in which other bars / restaurants in NYC are Micheladas served? Sounds great! 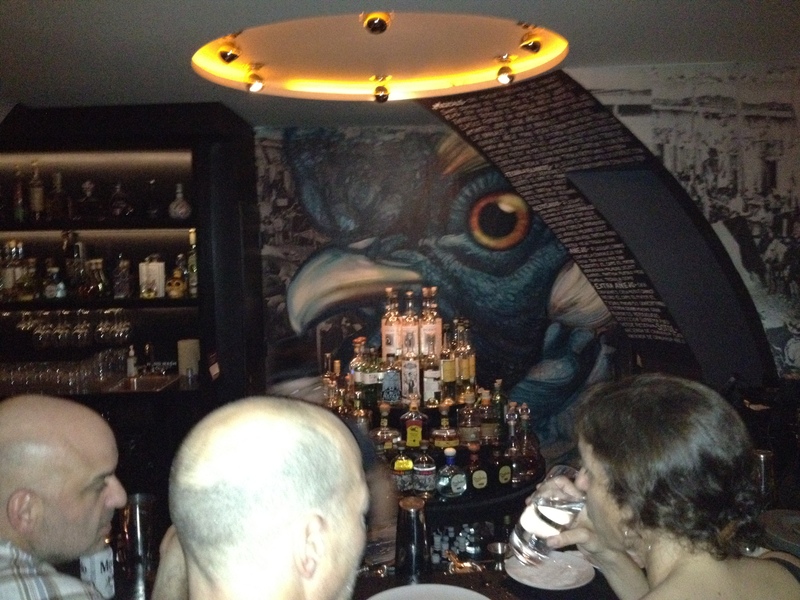 Thank you for the post and michelada pix. I love micheladas and didn’t know there was a good place to try a variety! 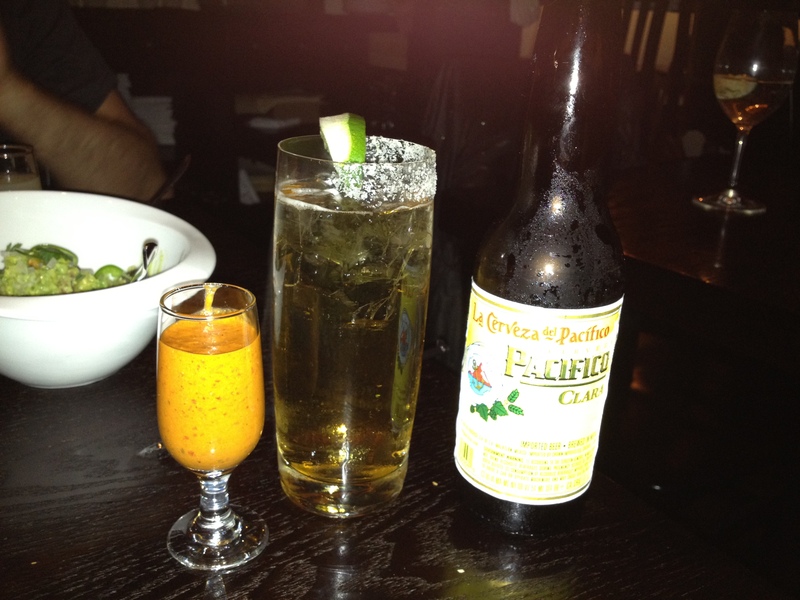 Adam – glad to know that you love Micheladas too! 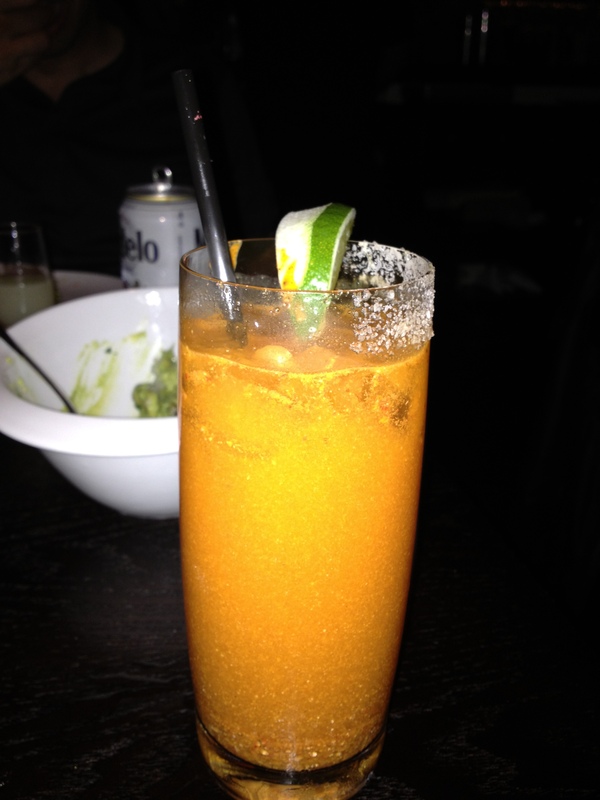 If you ever go to Empellon Cocina,let me know what you think about the Micheladas there. Ramesh – Thanks for educating me about the Shandy. We must try asking for a Michelada in other Mexican places when we go out.